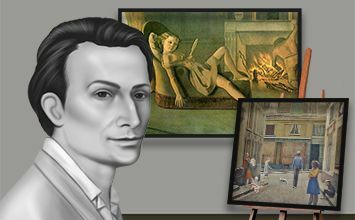 The below artworks are the most important by Balthus - that both overview the major creative periods, and highlight the greatest achievements by the artist. Artwork description & Analysis: In this scene of urban life, a tableau featuring a larger group of individuals than the more intimate couples or single individuals he usually painted - can be seen as his setting in the modern era the sort of outdoor group scenes rendered allegorically by early painters such as Breughel and Bosch. He updates this depiction of shared - or parallel -- sociality by combining the enigmatic affects, stiff postures and heightened atmosphere of Surrealism with a classical composing of figures in architectural space. For the latter, he draws on some of the techniques established in Renaissance-era painting, with carefully laid out proportions for each element, and the foreshortening of the individual figures at their different degrees of depth in a vanishing perspective for the viewer. He offers a more refined take on some of the ambiguous portraiture than his German contemporary Otto Dix produced around this same time, or the group tableaus in modern spaces that Max Beckmann was also rendering. Artwork description & Analysis: This is a prime example of how his symbolic works triggered discomfort in some viewers, and it is a prototypical - if not the ultimate - example of his use of young girls in his paintings. With the exposed lower body of a prepubescent girl and hints of a sexual dalliance with the woman on whose lap she lays, this piece was first displayed at one of his early Paris shows, but hasn't been exhibited in public since it was last shown in New York in 1977. Artwork description & Analysis: This is one of his earliest works, hinting at a later use of landscape in his paintings, and it is a prime example of how the subject was far less important to him than the scene. While the woman in the foreground is ostensibly asleep, she has her cane draped over herself, hinting at either injury or a need for protection while she rests. The landscape is clearly the focus of this work, yet it is interesting to consider how he uses the natural features of mountains, valleys, and hills to mimic the curves of the sleeping woman's body. The rolling hill in the foreground has a soft mound of flora at its peak, and behind it jagged mountains meet in soft, split valleys. Artwork description & Analysis: Balthus's early paintings were often studies of his neighbor Therese Blanchard, a young girl either featured alone or with her cat. With her hiked up skirt and open pose, the Therese in Girl and Cat (1937) demonstrates a sensual knowingness far beyond her young years, and she channels ambivalence about both herself and the situation she finds herself in. Her eyes seem to return the viewer's gaze in a challenge, but they also look slightly off center, as though the girl's uncertainty belies her apparent show of confidence. At the same time, this gives the painting a sort of moral ambivalence: is the viewer voyeuristically observing a private moment or does her pose indicate that she is meant to be gazed at? Given the time period and the modern focus on the disenfranchised modern man after World War I, this young girl and her ennui can hint at the artist's attempts to reconcile modern themes of concern with alienation through a more classical figurative painting style. Artwork description & Analysis: This is an excellent example of how he used formal conventions and techniques to create a theatrical setting for his work. For one, the title gives the work a narrative momentum from the outset. We as viewers are unsure whether the subject is wounded, ill, or dead, or if she has been a victim of some other intensive depredation of her body, but her full nakedness does not reflect the sensuality of some of his other depictions of nubile young subjects. Artwork description & Analysis: This work was created the year after Girl and Cat, and towards the end of the period during which he painted Therese. While this girl is in a similar pose to the earlier work, there is a heightened sense of agitation for the subject in the composition. Her eyes are closed and face turned away from the viewer. Therese's body is more defined as an adult; her legs are longer and her face and arms have shed their prepubescent extra weight. Overlapping the title's indication of dreaming, her facial expressions suggest the mixture of possible ecstatic pleasure and an uncertain, uncomfortable or even pained response to unwanted shared sensual experience. Artwork description & Analysis: Balthus did not just paint young girls and cats; he also created portraits of his friends, some of the most notable cultural figures of the early-20th century. This portrait of Pierre Matisse, son of the painter Henri Matisse, who ran a successful gallery in New York City, points to both the personal and business relationship the two men enjoyed with one another. 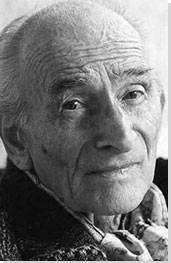 In many ways Balthus's career in the US is attributable to Matisse's promotion of his work, as after his 1938 solo show in the gallery he began to be more of an international name. Artwork description & Analysis: This later work of a younger woman is mellow in terms of its interpersonal intensity but nonetheless represents a psychological state more akin to the romantic sublime, while incorporating more of a landscape element, influenced by his relocations to the French countryside and Switzerland. Girl at a window (1957) features Frederique Tison, a young woman who modeled for him at the time.